Natural gas or propane piping is often used for feeding gas supply to the furnace, boiler or water heater. In addition, gas piping is used to provide natural gas to kitchen appliances and outdoor. 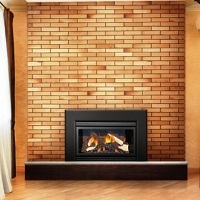 Professional Chimney Solutions, Inc. has a great reputation in the Seattle & Tacoma area for providing efficient installation services of gas fireplaces. So, when it comes to any issue related to gas fireplaces or gas fireplace inserts, we are the company you can trust to get the job done. 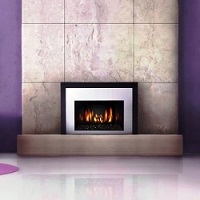 Moreover, gas fireplaces or gas fireplace inserts are best installed by experts. Proper installation of the fireplace units, inserts and the gas connections are paramount to the safe operation of a gas fireplace or gas fireplace inserts. Gas fireplaces and gas fireplace inserts can convert an existing traditional masonry fireplace into an efficient heat source. You have prime real estate sitting right in front of you. Put it to good use with a gas fireplace insert. There is not even a speck of doubt that gas fireplaces and gas fireplace inserts in the Seattle & Tacoma area provide great ambiance and just the right amount of warmth that your living room requires. Nothing can beat the comfort and efficiency that is provided by gas. These upgrades enhance a fireplace's convenience, comfort, and good looks. 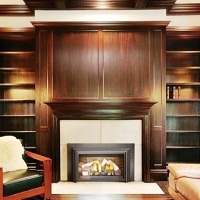 Why Seattle & Tacoma Area Residents Choose Us for New Gas Fireplaces? Gas fireplaces or gas fireplace inserts need to be installed by those installers who are proficient and experienced in doing this job. It cannot be dealt in by non-professionals as any loop holes left while doing the installation of fireplaces will lead to serious fire hazards. At Professional Chimney Solutions, Inc., we have the right solution; we do have the best work force to accomplish the installation and even the repair of gas fireplaces or gas fireplace inserts. To get instant solutions and the best repair services for gas fireplaces or gas fireplace inserts, residents in the Seattle & Tacoma area can give us a call at (253) 448-3987.